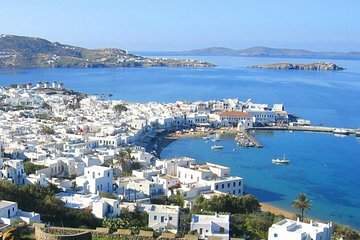 Get a personalized introduction to beauty and culture of Mykonos on a private, half-day tour. Many visitors never leave the main town, but you’ll explore the best of the harbor plus travel into the island’s interior for a view of the countryside, stopping in the historic village of Ano Mera. Ask all the questions you want while your personal guide reveals what makes the island so special, from coastal windmills and charming ‘Little Venice’ to pristine beaches.